Dog ears come in different shapes, statures, and sizes. Some are pointy and stick straight up; some hang down and are floppy. Some are large, and some are tiny. But, regardless of what they look like, or of how big, or small, they are, all dogs’ ears have one thing in common: They’re prone to infection. Ear infections in dogs require prompt medical attention. If left untreated, the infection could spread and get worse, which could lead to long-term, or permanent, damages such as hearing loss, facial paralysis, or coordination problems. But before you get bogged down with what could happen if your dog gets an ear infection, it’s important for you to understand how dogs get ear infections, so that you, in turn, can take preventative measures to decrease your dog’s likelihood of getting one. Allergies. Humans aren’t the only animals that can have allergies. Your dog can have them too, and, if it does, it’s very likely to express some of the same symptoms you’d express, such as runny eyes and nose and sneezing. Sometimes allergies can lead to colds or other types of infections, including ear infections, just like they can in humans. Excessive Earwax or Ear Hair. If your dog has too much wax or hair in its ears, it can potentially lead to an infection. The wax or hair, itself, can cause skin irritation or inflammation, and large clumps of it tend to trap fluid and/or debris and parasites, discussed below. 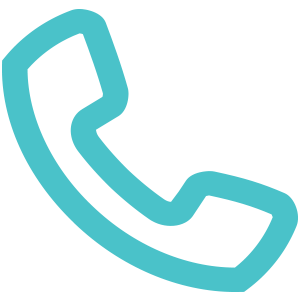 Fluid or Debris Trapped in the Ear Canal. Anatomically speaking, your dog’s ear is much different than yours. Its ear canal is mostly vertical, whereas yours is horizontal. This makes it very easy for fluids and debris, or dirt, to enter your dog’s ear and get trapped there; and once something gets trapped there, it can cause yeast or bacteria to form, which could lead to an infection. Ear Mites. Ear mites are tiny parasites that can live inside your dog’s ears. They are barely visible to the naked eye and don’t leave obvious bite marks, since they feed off of the oil and wax in your dog’s ears, not off of its blood or tissue. They can, however, cause skin irritation and inflammation, which can lead to infection. Ear mites are more common in cats, especially outdoor cats, but are highly contagious between animals and can spread by contact. 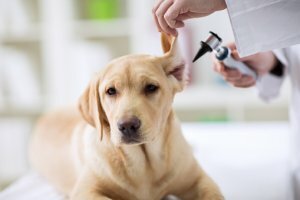 With these causes in mind, there are numerous things you can do to decrease your dog’s chances of getting an ear infection, from regularly checking its ears for abnormalities and monitoring it for symptoms of allergies to limiting its exposure to stray animals and handwashing its face rather than submerging its head in water. If you’d like to discuss additional preventative measures—or if you’d like to have your dog examined for excessive ear wax/hair, mites, or allergies—please contact our office to set up an appointment. As always, the veterinarians and staff at Animal Medical Center of Streetsboro look forward to serving you and helping you keep your dog’s health in check.